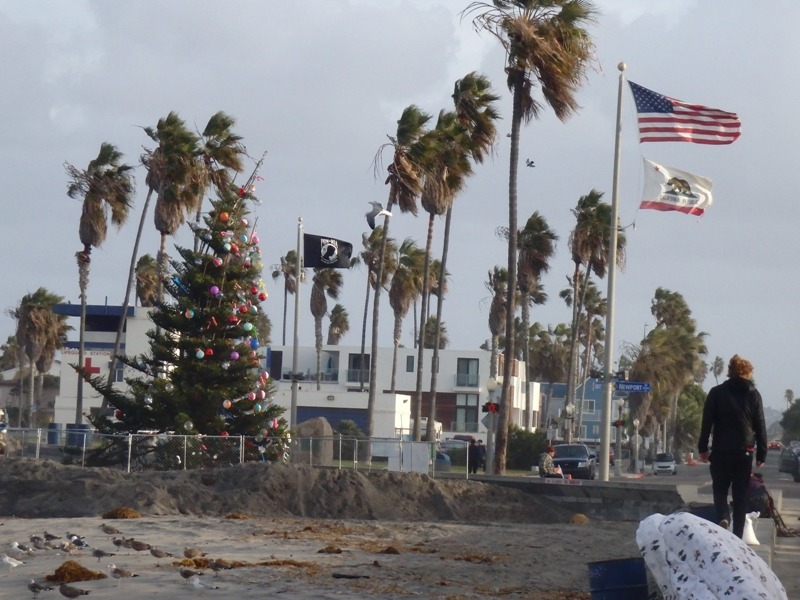 Tides were high, but thank goodness there was no flooding in OB this Friday morning, the 11th of December. We were down there in the OB Pier parking lot along with some TV trucks. 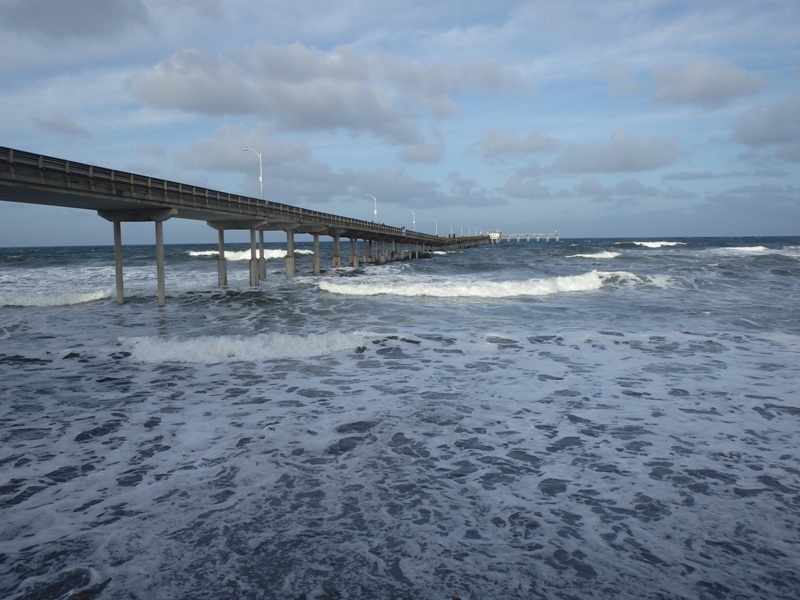 But nothing dramatic – the wind was up, the surf was all blown out – not a surfer was dangling. The OB Christmas Tree was bending with the breeze. 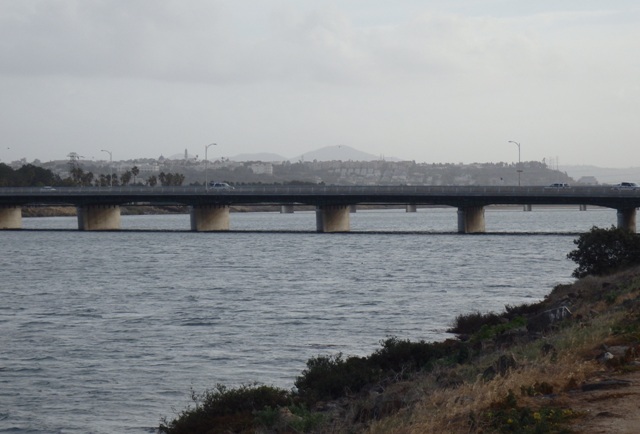 San Diego River – high tide up to the high-water mark. 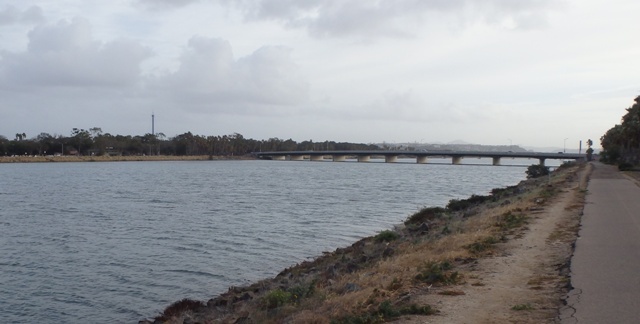 The river was up to the high water mark.